Uvex Genesis Safety Glasses have been on the market for several years and are known for their exceptional comfort, protection and style. In fact the Uvex Genesis series has enjoyed the status as the number one selling premium safety glass! 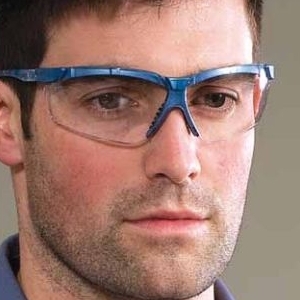 This is because Uvex Genesis Safety Glasses offer an incredible range of outstanding product features. Every pair of Uvex Genesis features durable frames with three position ratcheting & telescoping temple arms and incredibly strong polycarbonate lenses that meet both ANSI and Military impact standards! These lenses provide protection against impacts 7x higher than ANSI requirements and also filter out 99% of harmful UV light. A optional removeable Rx Insert is also available. This insert can be taken to your local optician and fitted with your prescription and installed in any of the Genesis models, providing an economical alternative to traditional Prescription Safety Glasses. Uvex Genesis Safety Glasses provide you with extraordinary all-day comfort so you'll want to wear them, which increases safety compliance. All Genesis models are ANSI Z87.1-2015, CSA Z94.3 and Mil-Vo certified and Made in USA.